Stonework accessories blend seamlessly with natural materials such as wood and grass, giving your pool an organic touch. Our stonework tiles are practical as well as elegant and stylish. With colourings that are identical to natural stone, they improve with age and mix seamlessly with the environment. The tiles are laid so that they project a little way over the water and slope down away from the pool. This prevents water splashing over the edge and rainwater running in. The edges facing the pool are rounded, allowing swimmers to have a good grip. We offer other shapes on request. Each tile is designed and tested to have an excellent non-slip surface with an extremely low potential for slip. 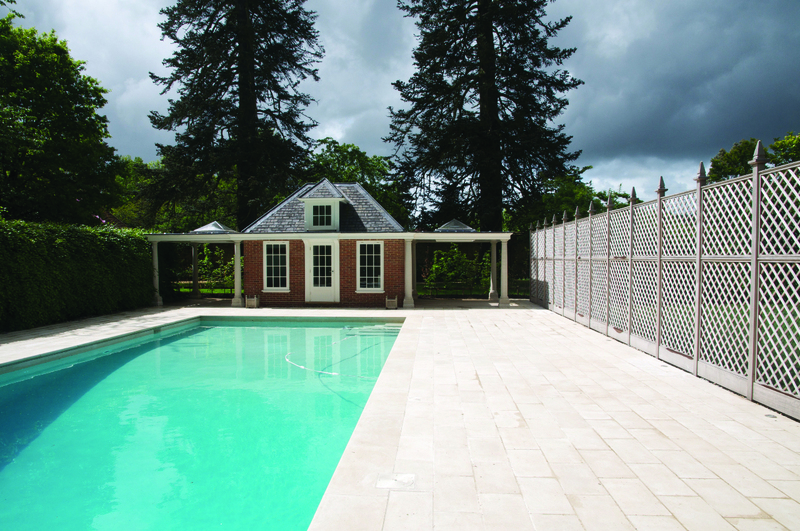 We offer a range of pool tile sizing depending on the style you’d like to create. Although our normal maximum width is 600mm with a thickness of 50mm, get in touch with our team and we can recommend a tile based on your specific requirements.